Breastplate - length from the top of the beaded to bottom (not incl. the leather neck strap) 24 inches. 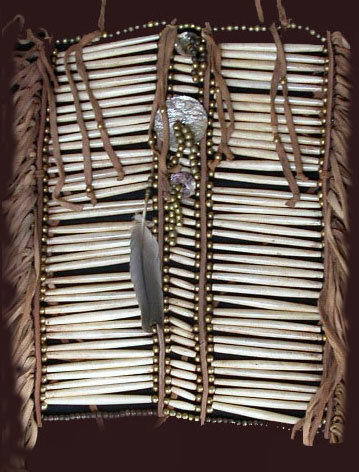 Buckskin, abalone, various types of beads - i.e. pony beads, crow beads , brass beads & trade beads, etc. 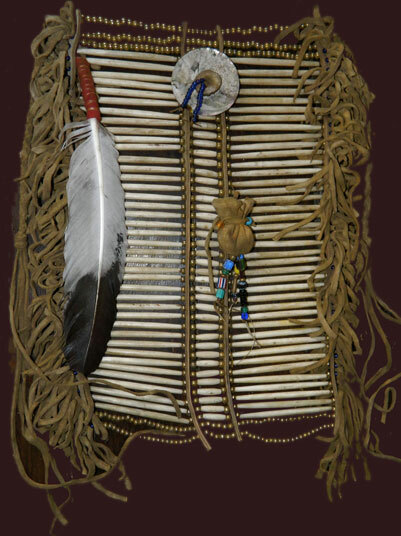 (Not photographed) Breastplate - 25 hair pipes each side, plus 26 center hair pipes. Length from top beads to bottom beads (not including braided leather neck strap) 13 inches. 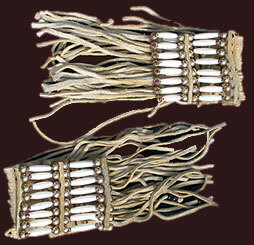 Leather, abalone, various types of beads, i.e. white hearts, crow beads and brass beads, etc.